This week on The Pete the Planner® Show, we’re doing something fun! As opposed to the last 10 years of the show, we’re sticking to one topic for the entire show. In light of Pete’s four-part series in USA Today, we’re dedicating this show to how to start a retirement plan from scratch at age 50. After being approached multiple days in a row, each person told Pete a version of the same story. They were 50. They wanted to retire someday. But had nothing set aside to fund their futures. Unable to shake the undeniable sign, Pete took action. And alas: this four-part series came to life. 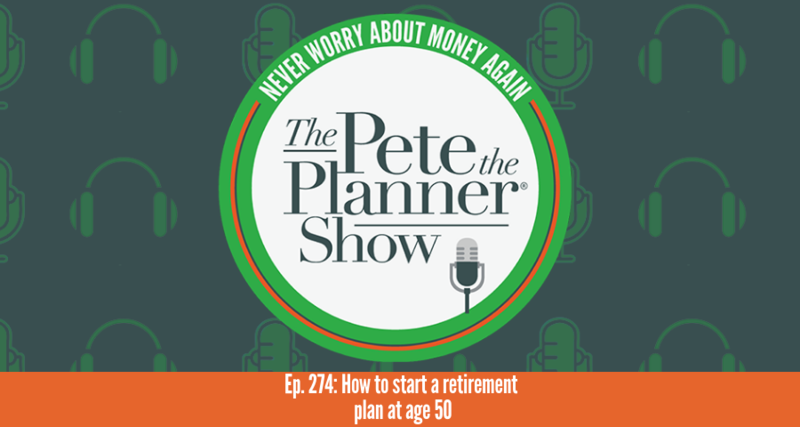 Throughout this episode, Pete shares the secrets and steps to starting a retirement plan at 50. And, as each installment is published, we’ll update them here for you to read as well.